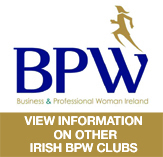 BREEGE O’DONOGHUE FORMER GROUP DIRECTOR OF PRIMARK TO SPEAK AT BPW SUMMER LUNCH. 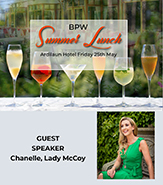 Breege O’Donoghue, Former Group Director, Business Development & New Markets for Primark and current Chair of Design and Craft Council of Ireland.will speak at this year’s BPW Galway Summer Lunch. Plans are well advanced for the popular event, which will take place at The Ardilaun Hotel, Taylor's Hill, Galway City on Friday, 26 th May. The day will start with a Prosecco reception at 12 noon, followed by a 4-course lunch with wine. A Raffle in aid of Cope Galway promises some fabulous prizes. Then, while away the afternoon to the Music of The Guinness Jazz band from 4pm into early evening. 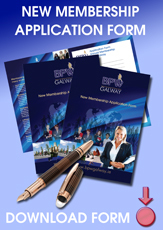 BPW would like to thank KPMG for their support of the Summer Lunch this year. 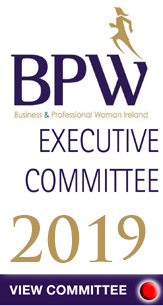 Speaking at the launch, President of BPW Galway, Valerie Murphy said; ‘The BPW Members and Guests are looking forward to hearing from Breege O’Donoghue; Breege has a strong focus on strategy, people and product, Corporate PR and CSR. She has an extremely successful track record of 37 years of her executive career across many functions, with considerable expertise in 11 markets, significant experience of leadership, diverse teams and complex cross functional business projects. 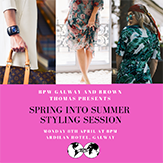 BPW Galway is grateful to Breege for giving her time and expertise to this event which will benefit the important work of Cope Galway waterside house. Speaking on behalf of the charity Cope Galway Waterside House Domestic Violence service Lorraine Costello said,’ the refuge offers a 24hr accessible service and deals with many crisis admissions of women and their children seeking safety from violence on an immediate basis. For children this can be an especially traumatic time. The funds from the raffle will benefit Cope by enabling them to provide some extras that would greatly assist childcare workers to support children. There is currently NO money for taking the children on outings. The current refuge has NO play area and the living space for families is extremely small. Access to space to run around in and contact with nature can give the children a break, especially for those who have to stay for longer periods in the refuge’.